The bedroom brainchild of Brooklyn resident Danz, Computer Magic blends lush synthesizer hooks with catchy dance pop melodies that are both childlike and ethereal with a sci-fi edge. Her songs evoke the electronic autism of dance pioneers such as Kraftwerk with the unmistakable grooves of contemporary lo-fi chillwave. 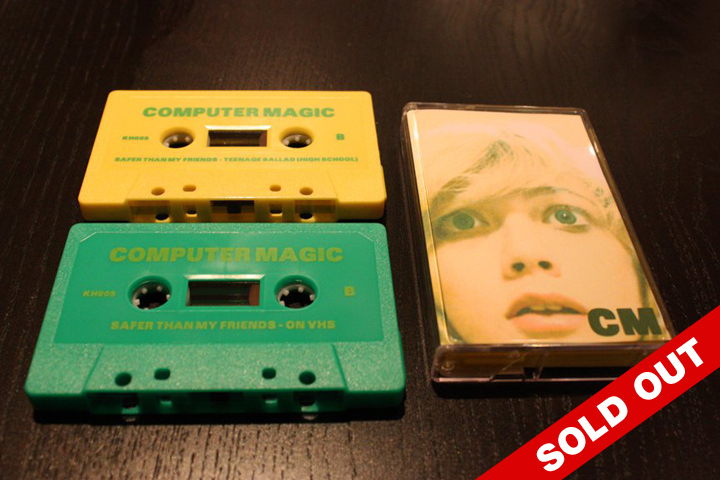 Get a Job marks Computer Magic’s first physical release — and this tape is unlike any KILL/HURT release yet. Side A of both tapes are the same, but Side B features a different closing track; see the tracklists for the different versions below. Please be sure to select which color tape you would like to purchase. All copies of KH005 are dubbed by us onto a C15 cassette. This release is limited to 50 hand-numbered copies, 25 for each version. NOTE: For the second pressing, “On VHS” has been replaced with “Science Channel 9″ on the green tapes! Browse the Release archive. 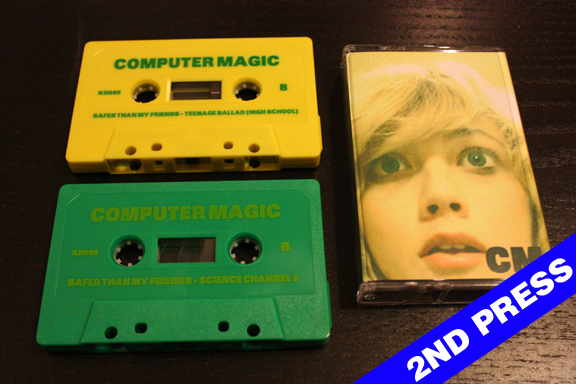 This entry was posted in COMPUTER MAGIC, Sold Out, TAPES.